Summer may not be just around the corner, but summer planning is! Join us for our 16th Beantown Camp! 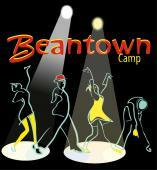 Beantown has long been known as an excellent opportunity to learn and grow as a Lindy Hopper. You will be challenged, inspired and awed! How could you not with this incredible group of instructors? Camp runs from June 28 to July 5 with multiple registration options. This will be a phenomenal year to come to Beantown! If you’ve never done the full week, do it in 2012. There is just too much that you won’t want to miss! The website continues to be updated with the latest info. Registration opens in February, date TBA. Check out the website for information.